Good Morning From Pigeon Forge/Sevierville, TN…..
Wed…Sept 29, 2010…..Good morning from TN, its a little nippy, finally feels like fall is here…… The skies cleared briefly yesterday but no fishing, the best water is still high. We were on Little River in the Park and it was like class III-IV whitewater up to and above the’Y’. From Metcalf Bottoms upstream it was better but was still’rolling’… We went to Cades Cove and Abrams Creek was high also, the whole area has had a great deal of rain. 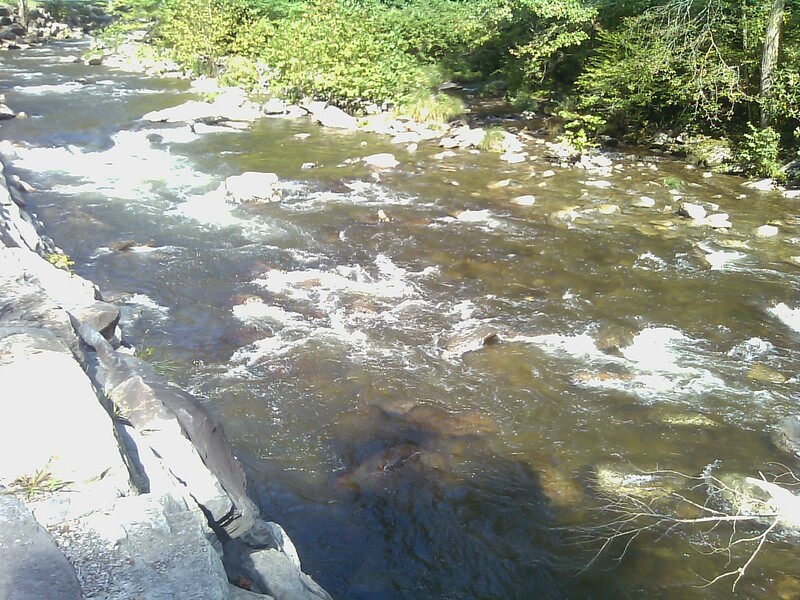 The Little Pigeon River by our place, an ‘A’ smallie water that was once featured on ESPN Jerry McKinnis’s Fishing Hole program, is also high and roily. Still a great trip with my Dad even if we did not get on the water. More reports later today. Tues….Sept 28, 2010……Greetings from the Great Smoky Mtns, we are in Cades Cove, TN and nearby Little River. Most park waters are still high and unfishable, all smaller waters are coming down but may not be fishable by our departure time on Wed. More later…. Spending Few Days in TN…..
Mon…..Sept 27,2010 ……wow, heavy rain all the way up, had a great trip up, some good food, but no fishing today, the Little River, Little Pigeon River, and French Broad are all swollen from rains…they are the shade of a Starbucks Pumpkin Spice Latte….there’s a severe thunderstorm watch, will maybe try to take my Dad out in the morning. 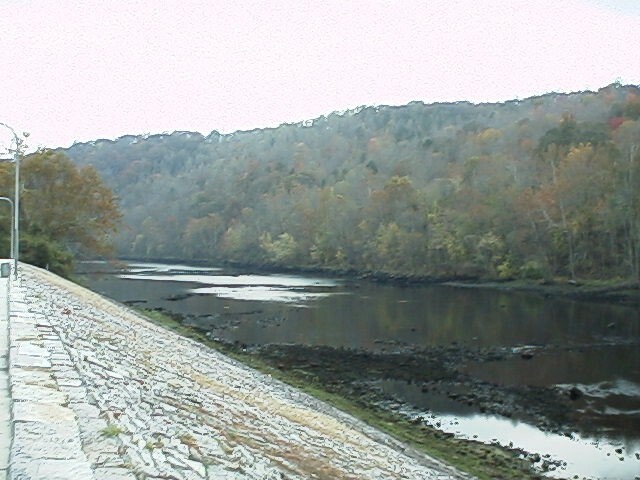 Below is a picture from below Norris Dam on the Clinch River, one of the finest tailwater fisheries around, it might offer some promise if the weather stays like this. Have a great evening..! Sun…Sept 26, 2010…..What began as a hot weekend is now ending as a cool and very wet one. Just returning from our church’s Men’s Ministry Mentor Training Weekend Retreat and what a blast it was. We were at Lake Norman enjoying the sun and some time on the water, we did manage some bass, Guy Conway caught 3 very nice bass up to about 2.5lbs, other than that we caught a few other small bass. Good to get away and be refreshed. Heavy rain is on the way, it rained heavily today all the way back from Mooresville. The weather folks are calling for rain up to 4 inches for us here in the Piedmont and isolated higher amounts. Mountain counties, particularly the Northern counties like Ashe, Avery, Alleghany, and Watauga could see up to 7-8"…wow….. That’s a lot of rain for sure, but we need it. This rain is timely and bodes well for our opening to the Delayed Harvest season and should be good to bring water levels up a bit before the first stocking. Headed up to Sevierville, TN for 3 days to take my Dad on a trip. Hope the beginning of your week is great and I will be posting some reports over the next few days. Fri…Sept 24, 2010 …..Hard to believe it but fall is officially here. Feels like the dog days of summer still. We have a cool down coming and some rain too. Fall is blue winged olives and brown time…..already seeing some large browns moving…..below is a beast caught on a previous trip by Lynn Roloff….a two foot brown on a dry fly and 7X…what a feat. 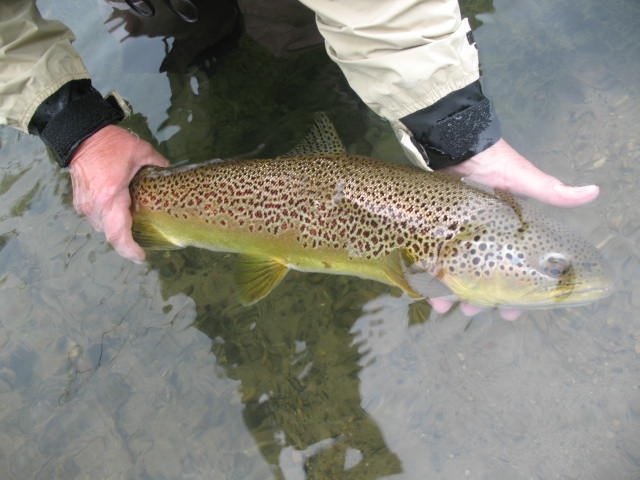 We will be chasing some of these browns in the coming months….out to be a hoot. Just pulling into Mooresville en route to Lake Norman, what a great sunset. Have a blessed weekend! 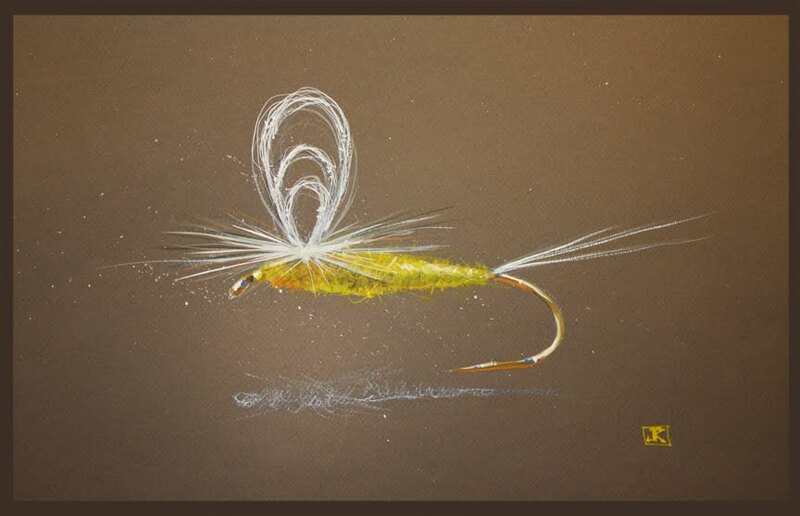 Thurs …..Sept 23, 2010…..a day of cranking out tailwater flies today, plus our Beginning Fly Fishing Class. What a great group of folks, we had a great class this evening, learning shooting line, hauling, and a lot of other stuff too. 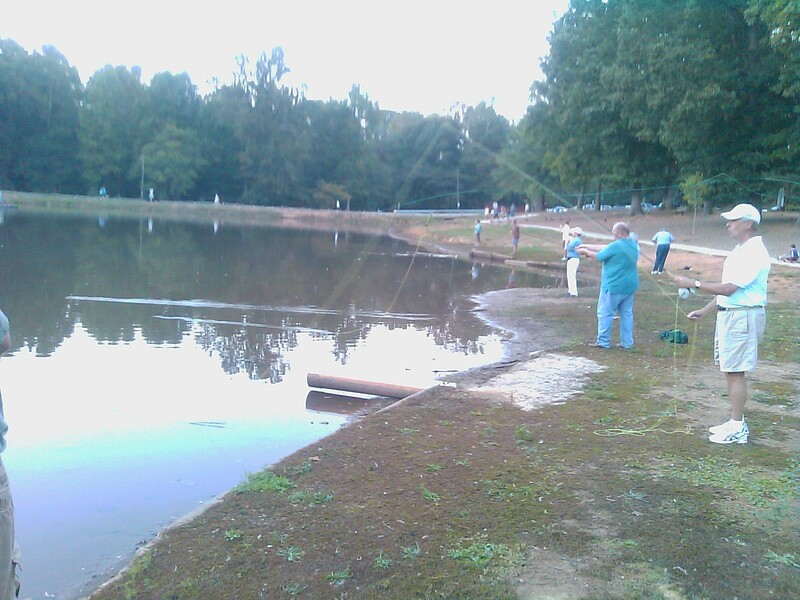 These folks can cast….several students were reaching the 50ft+ mark, and one caught a nice pound largemouth bass. Hard to believe its the second day of fall, tomorrow the forecast is for a record 93-94F….hard to believe. A cool down is coming though, and maybe some welcome rain as well. Drove back from yesterday’s trip and there were some heavy t-storms along the SW Va /NW NC border. All of it helps but we need more. Will be finding out from Dave Deaton and Kevin Hining of the NC Wildlife Commission about the upcoming Delayed Harvest stockings—and whether or not the warm temps and low water levels will affect the planned stockings. Have a great evening and upcoming weekend. 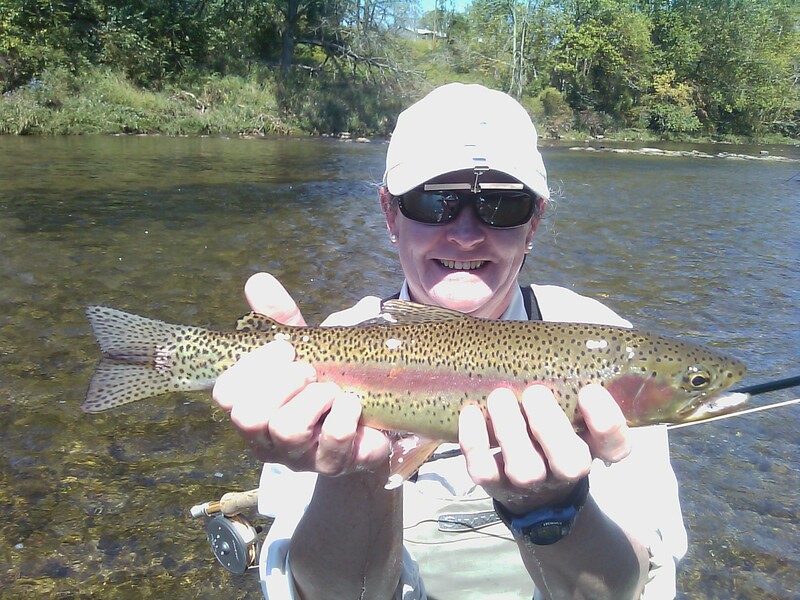 Unbelievable Day on Dry Flies…. Wed….Sept 22, 2010……I struggled on what to write for a fishing report thinking how much today would sound like a fish story. But its not, it was a phenomenal day….just ask Lynn Roloff whom I guided today. We were on the South Holston and it was indeed incredible. At times hard to believe…..thinking to myself "this is too good to be true and it must be a dream." 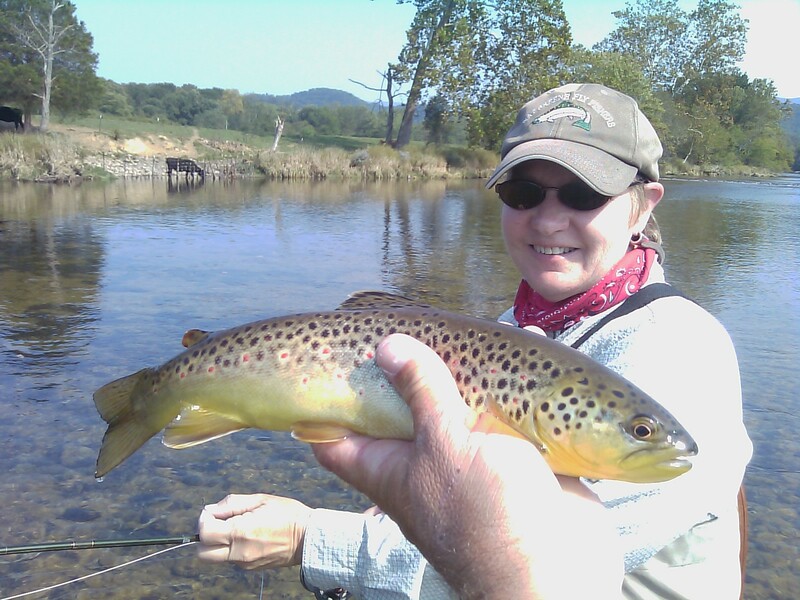 Lynn put probably somewhere around 60 fish in my net including some up to 17-18" mark….browns and rainbows. All but 2 fish we caught on dries, new tiny dry flies developed from many days this past year on this water. The two fish we caught on other flies we caught on one of my streamer patterns -a pearl estaz bugger with a rabbit strip tail. The two streamer fish were caught during the 1hr pulse. I have fished this water for 25yrs and have never seen it this consistently good all year along. And looks like it could go on this way for a good while. Where else can you fish to rising fish that are quality fish and catch them on top all day long? If you ever wanted to catch the SoHo in its prime or try your hand at some of the best small fly dry fly fishing you will ever do now is the time. Still have some open Oct dates for this and they will fill quickly…Let’s Go Fishing….! Wed…Sept 22, 2010…..Wow, left out at o’dark thirty this morning….it is warm. 75F to be exact. Quite warm for the first day of fall, about 15 degrees above normal. Its very dry, if it stays like this we are in for quite a colorful leaf season. Looks like a cooldown and some rain is coming for late in the weekend. 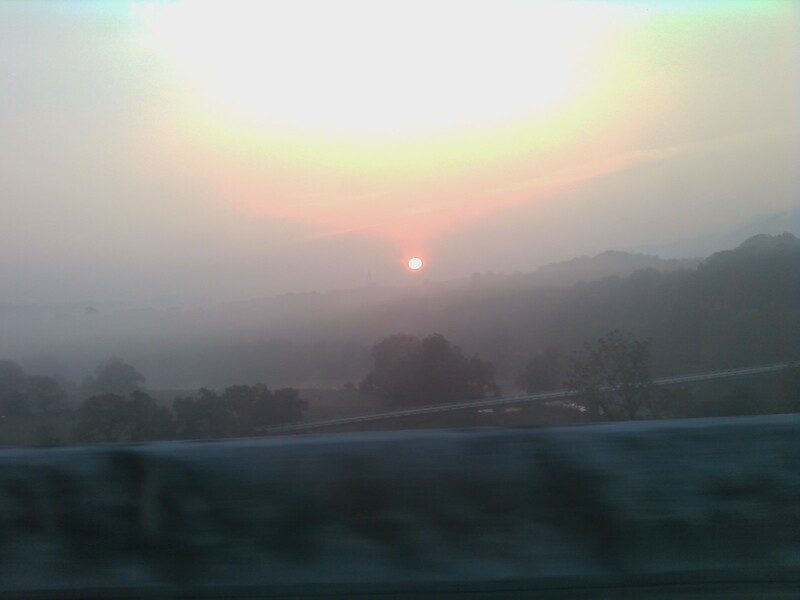 Took the photo below this morning in SW Va and what a way to begin a day. Guiding Lynn Roloff today and hopefully we will be into some good dry fly fishing today….if the past weeks are any indication that is what we should find. Have a great day and will be doing a fishing report on how we are doing. Blackfly, What The Heck Is That? Tues……Sept 21, 2010…..Completing some website edits and decided to post this today since so much is said about “blackflies” but little info of any angling substance is written about them. 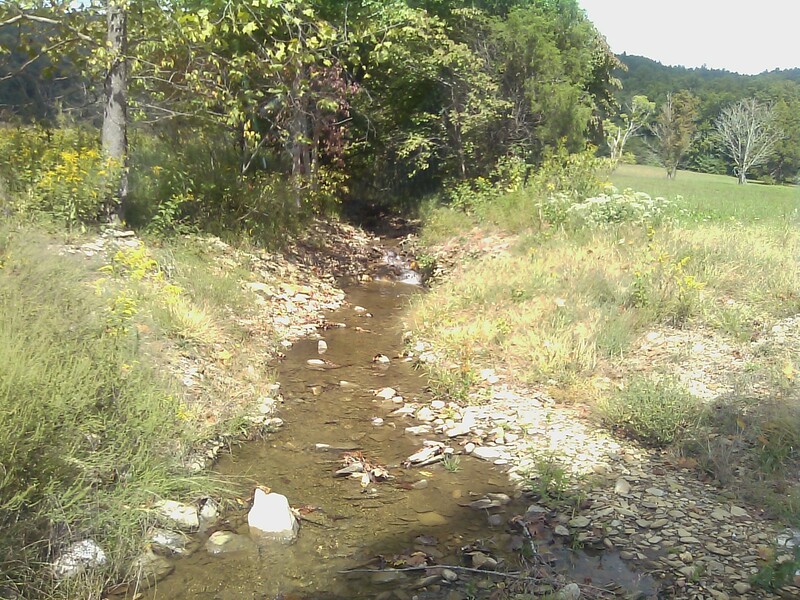 They are important insects on many waters, and especially tailwaters, but they live in small streams as well. In general they are a reliable indicator of very high water quality. 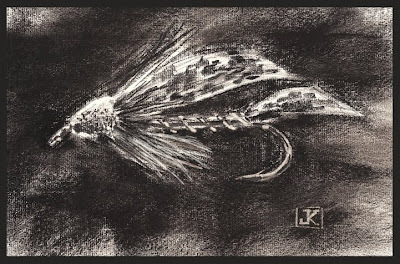 When the term “blackfly” is mentioned a lot of folks ask “what do you mean, is it like a black fly….” meaning are you just referring to a fly that is black? Well, the term has little to do with color, though many blackflies are indeed black. They can also be grayish in color, as well as dark olive, and often have a fuzzy appearance. 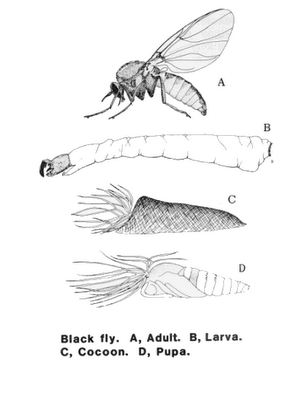 The insect begins life from an egg, which then grows or develops into a baseball bat shaped larva. You often see these on the top or downstream side of rocks. They develop further and then pupate in what is called a slipper case—a clear or whitish “hutlike” case you find on the underside of many riffle rocks. Once fully developed, the pupa emerges from the slipper case, splits its skin, and the fully formed adult fly then rides to the surface in a bubble of air. This is one of the reasons they pose some hatch matching problems for the undiscerning angler. Very little is known about these bugs and very little info is out there. When I first began studying these bugs the only books out the were the “Emergers” book by Doug Swisher and Carl Richards, and “Micropatterns” by Darrel Martin. Jason Neuswanger’s website has some great info at http://www.troutnut.com. 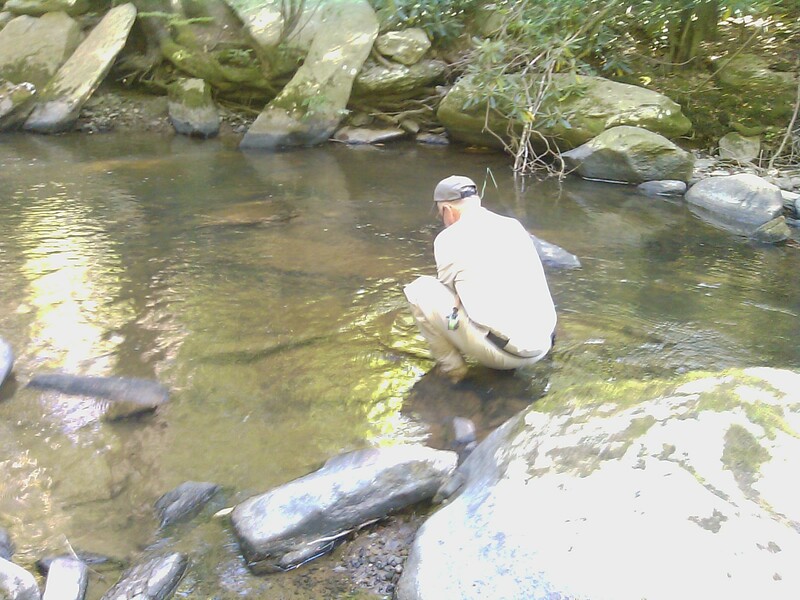 But a lack of available info doesn’t diminish their importance …..just fish the TN and VA tailwaters and observe trout feeding on them practically daily. Guiding Lynn Roloff tomorrow and I am relatively certain we will see some blackflies. Should have a more reports tomorrow. One last tip, with the moderate drought conditions I am predicting a more colorful fall in the High Country and the Piedmont than we have seen in years…barring any major wind or wet spells. Should mean good dry fly fishing too if we don’t get a lot of rain….but we need rain too…. Great Fall Like Day on the SoHo …..
Sat… Sept 18, 2010…what a fantastic day, very cool to start, crisp like fall. We got on the lower river mid morning and it was game on from the start. Guided Dr. Scott and Diane Bertrand today, we caught probably a dozen to fifteen fish with the one hour pulse that passed through on nymph rigs using midge pupae. As I noticed more and more surface activity we switched to dries and had another small fly dry fly field day. Diane and Scott both caught a good many on dries, I guess we ended up with maybe 35-40 fish altogether. Caught many 15-17 inch fish, both rainbows and browns. Largest fish was an 18-19" rainbow caught by Diane on a size 24 Blackfly dry and 7X. Scott and I went to one last spot just before calling it a day and got one last brown that came off at net. He fished to a 30in plus male brown just before we quit and the fish gave us two casts but would not eat…..But I know where he lives and will make a return visit! Great day, have a great Sunday. More trips next week coming up as we get into high gear with our fall season. Tight lines…!